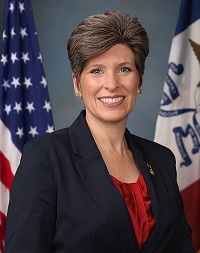 In a statement released following President Donald Trump’s Afghanistan update on Tuesday, Senator Joni Ernst says that maintaining the status quo in Afghanistan is unacceptable. Ernst, a member of the Senate Armed Services Committee and veteran, says she does not take any decision to send America’s young men and women into conflict lightly, but now is not the time to abandon the fight against terrorism in Afghanistan. “Unfortunately, the reality is this:” Ernst says, “arbitrary timelines, troop levels and an overall lack of strategy from the previous Administration has created an environment in Afghanistan where 20 of the world’s international terror networks reside, the Taliban is resurging and the region is vulnerable to the malign influence of Iran and Russia.” She agrees with Trump that we need to lead from a position of strength and she is committed to guaranteeing service members are well-equipped for combat. She says she will also hold the Department of Defense and the Administration accountable for ensuring the effectiveness of this strategy.